More young drivers thinking about buying a car may be drawn towards the Honda Civic as a result of a new addition to the range, it has been suggested. The manufacturer is expanding the five-door line up with an Si trim. 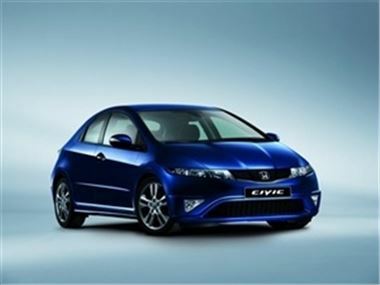 Customers opting for this version of the model will find it comes with a Type R-inspired mesh front grille, colour-coded bumpers, dark chrome fuel cap and door handles, along with front fog lights. In addition, the vehicle is also set to feature either 16 or 17-inch alloy rims. According to the company, the latest edition of the auto has been created with a very specific group of customers in mind. "The Si has been designed to appeal to the Civic's increasingly youthful customer and those who want sporty looks with the practicality of a five-door," it stated. In related motoring news, former F1 star Johnny Herbert is set to drive a Type R version of the model for the rest of the British Touring Car Championship.